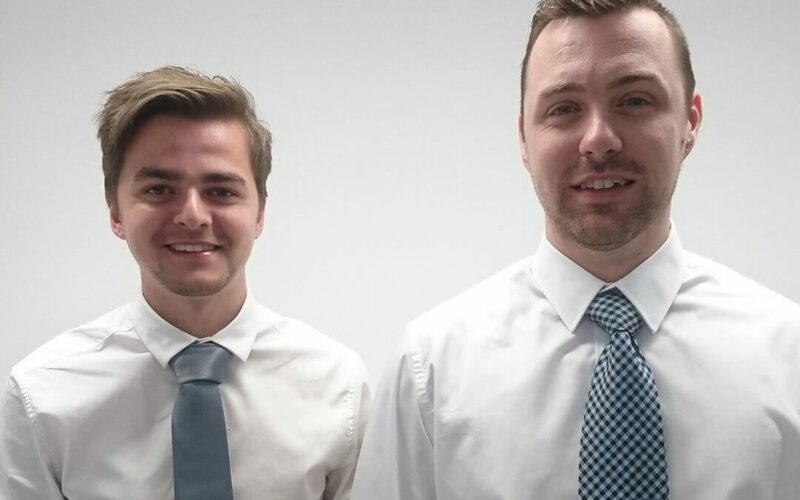 Two Edinburgh Napier University students, Harry Gladstone and Jamie Dempster, have secured summer placements with Thomson Gray based in our Edinburgh Office. The company has a strong track record of supporting and helping develop new entrants to the industry and this forms part of our ongoing commitment to ‘invest in building experts’. Harry Gladstone has successfully completed his first year at Edinburgh Napier University studying Quantity Surveying. Harry is eager to gain a variety of experience this summer by working under one of our more experienced Quantity Surveyors to help guide him through his first industry experience. Harry is hoping this summer will give him the guidance he needs to return to studies in September with a better understanding of the role of a Quantity Surveyor and providing him with relatable experience which will aid his understanding. Jamie Dempster has successfully completed his third year at Edinburgh Napier University where he is also studying Quantity Surveying. Throughout the placement Jamie hopes to realise possible topics for his dissertation through discussions with various members of the Thomson Gray team allowing him to find an interesting and relevant subject matter. Harry and Jamie join our current group of students studying Quantity Surveying, Building Surveying and Project Management disciplines and across our multiple offices. Thomson Gray hold Investors in People Silver accreditation and are also an accredited Living Wage employer and signatories to the Scottish Business Pledge.